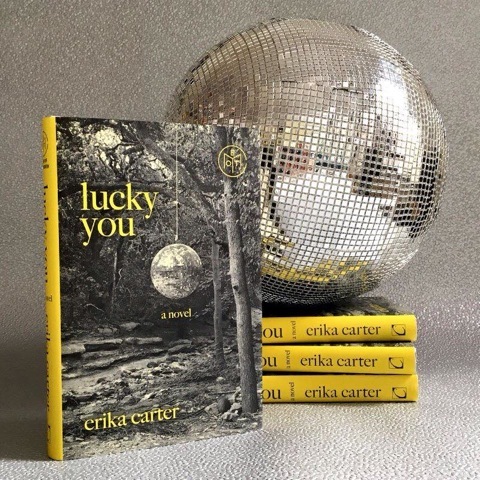 SOCO Shop is thrilled to host Erika Carter for a book signing of her debut novel Lucky You, along with brunch cocktails from SOCO Gallery and bites from Le Macaron French Pastries. Recently reviewed by NPR as "a perfect balance of humor and tragedy," Lucky You follows three women in their early twenties as they ineptly navigate adulthood. The novel has been featured in Elle Magazine and O, The Oprah Winfrey Magazine as one of the top books to read in 2017. Erika Carter's work has appeared in the Colorado Review, Meridian, CutBank, and the South Carolina Review, among other literary journals and magazines.